Delicious Podcasts is a collective of comedy podcasts that cover history, film, and improv. 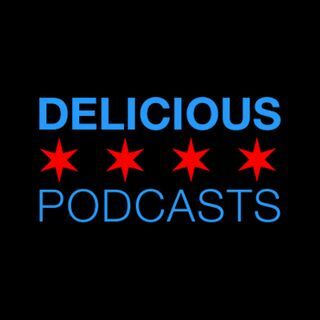 All our episodes are recorded in the Delicious Podcast Studio located in Chicago. Adam Sandler Please Stop is a complete retrospective of all Adam Sandler films past, present, and unfortunately future. It's hosted by Sandler fans; Robert Bacon, Marie Maloney, and Caleb George who are now disappointed and disillusioned with his current string of terrible films. Each week they watch an Adam Sandler movie in order ... Más informaciones of release date to discuss and then rank them. Season 5 - Chris Farley. Try This Podcast is a podcast where every week we invite on a comedian and we do the podcast that they have always wanted to do. Most podcasts are completely improvised with a loose format. Every podcast will have a new title and will feel like a single episode plucked right from that podcast's library with special segments, ... Más informaciones references to previous episodes, and recurring characters.